Additionally, it is gluten free, has a ton of other minerals (especially iron! ), vitamins and antioxidants too. 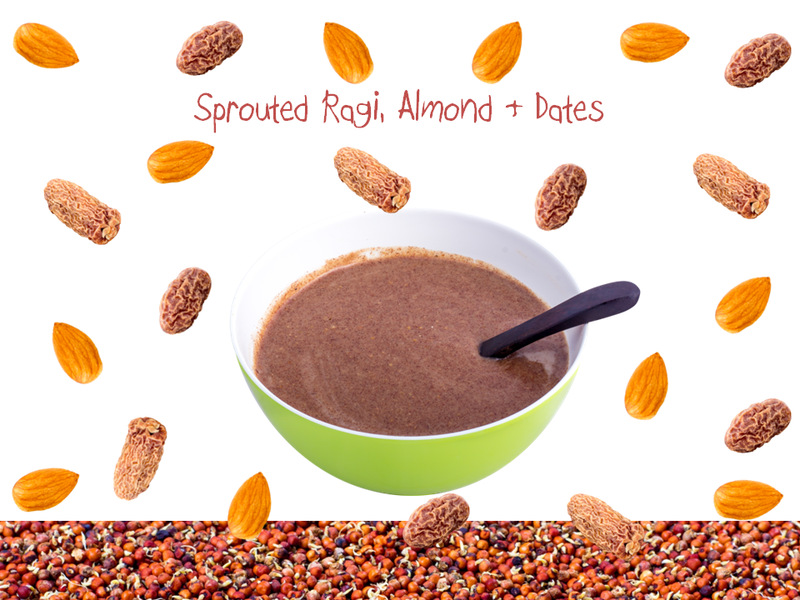 If you already have introduced ragi to your kids and are wondering how else to add ragi in your kids’ everyday meals… find below 6 different recipes, both savory and sweet, using Ragi as the main ingredient. 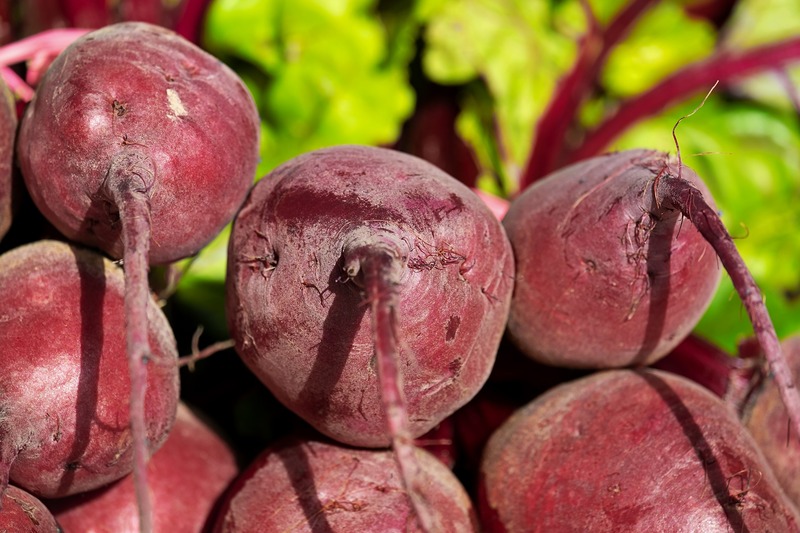 This could be the best substitute for those packed juices filled with artificial sugars! Adding ragi to butter milk not only cools and hydrates the body but also adds iron and minerals which makes it the ideal evening alternative with your kids evening snack. Add salt and 2 tsps of Instant Ragi flour to a glass of freshly prepared buttermilk. Mix well to remove all lumps. Keep aside. Heat a small pan, add oil, mustard seeds, urad dal, curry leaves and season it will till they begin to sputter. Add this delicious seasoning to the ragi butter milk and serve chilled! 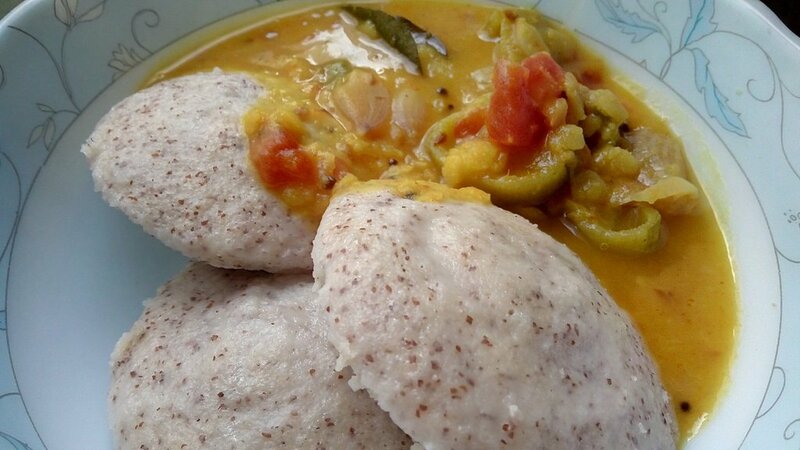 Nothing makes breakfast more nutritious than a couple of idlis with sambar. But it gets better when the idlis are made with ragi and loaded with iron and calcium. Wash and soak all the grains for 4-5 hours. Grind them together to make a smooth batter. Cover the batter with a lid and leave it to ferment for 8 hours or more. Grease the idli pan with oil. Pour batter and steam for 10 minutes. Alternatively, you could add ragi powder to your regular idli batter to make these ragi idlis when you’re running late! Serve with spicy tomato chutney and sambar. Who does not like chocolate? And by using raw cacao powder (which is actually quite healthy!) in this recipe, you can get rid of all the bad stuff that commercial chocolate has – vegetable oil, sugar, milk powder etc. So, here is a super healthy dessert recipe for your kids, along with a good dose of calcium! Take a heavy bottom pan, add 1 cup water and bring to boil. Add the jaggery and allow to melt and bring to boil. Add in 2-3 Tsp of ghee/oil. Keep flame medium. Add grated coconut, Instant Ragi flour, Cacao and dry dates powder to the melted jaggery and mix well. Stir continuously and keep adding ghee/oil little by little for the mixture to get together. Cook until the mixture starts to leave the side of the wok. Switch off the heat and pour the mixture into a greased tray. Using a knife, cut it into square blocks and leave it to cool. Alternatively, buy Early Foods delicious Ragi Choco cookies with Jaggery for kids! 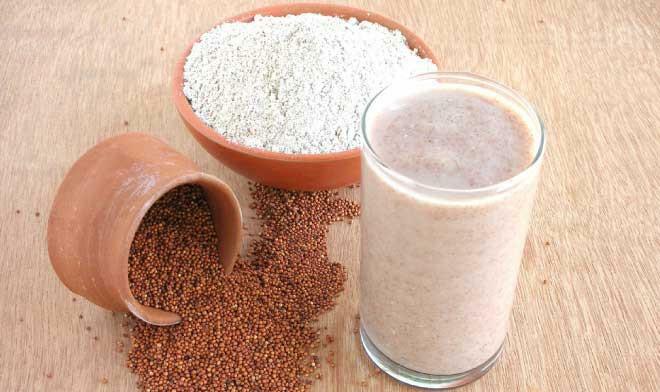 Converting regular ragi into sprouted ragi increases the iron content significantly and helps with the absorption of calcium. Once sprouted, the millet becomes easier to digest and is great for babies just starting on solids. Soak 500gms of Ragi in water for 3-4 hours. 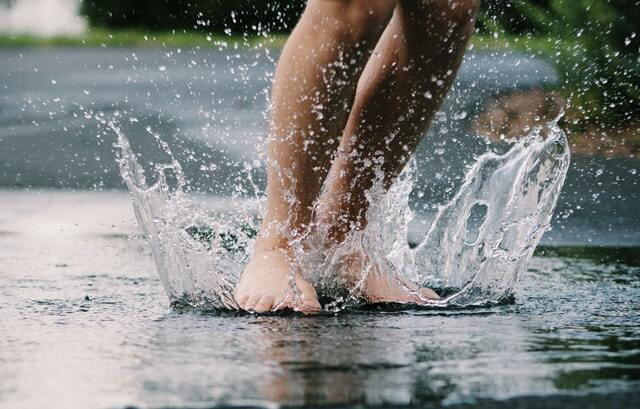 Drain water and cover it in a muslin cloth overnight. Next day, sun dry until It is completely dry. Grind the sprouted ragi to make a fine powder. Store powder in an airtight container for future use. Take 2-3 teaspoons of Ragi powder. Mix with cold water or milk (30-50 ml) to remove the lumps. Smooth to a paste and keep it on the stove on medium flame. Stir continuously for 5 minutes till the porridge boils. Add more water and heat if it is too thick. As an option to sugar, you can add jaggery or dry dates powder to sweeten the porridge. For the easy way out, buy Early Foods’ Ragi Porridge Powder! 5. 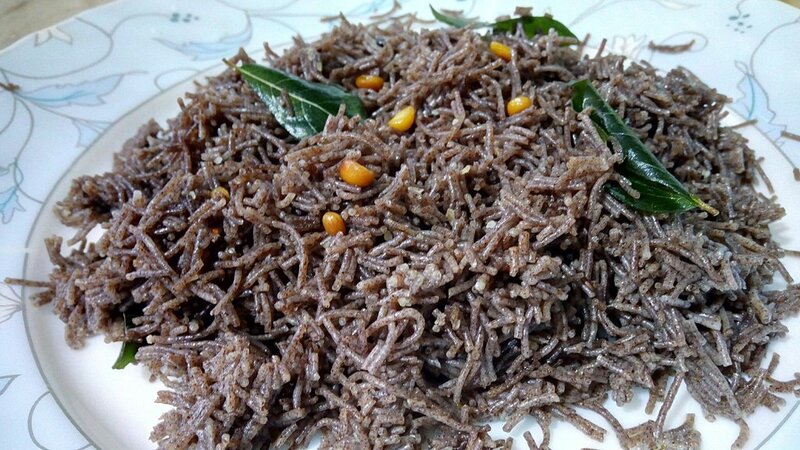 Ragi Seviyyan – Calcium Rich Noodles! Soak Ragi Seviyyan in warm water for 2 mins. Drain water and keep aside. For seasoning, add mustard seeds, curry leaves, chillies in a pan. Add the channa dal and roast in oil till it turns slightly brown. Add a pinch of turmeric, soaked ragi seviyaan, salt and stir well. This recipe would usually take about 2-3 minutes to cook! You can garnish with freshly grated coconut and serve either plain or with chutney. 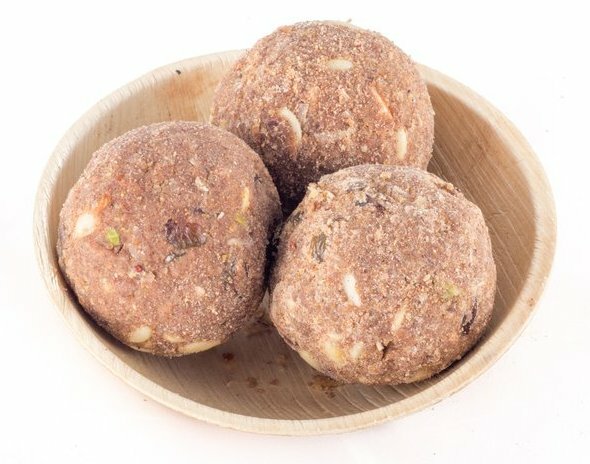 These ladoos can literally be made with just 3 primary ingredients- Ragi, Ghee and fresh dates! They are great for on the go snacks and stay fresh for close to a week when kept in air tight containers. Kids will enjoy having these sweet snacks. The benefit of using dates is the extra protein and iron they bring along! 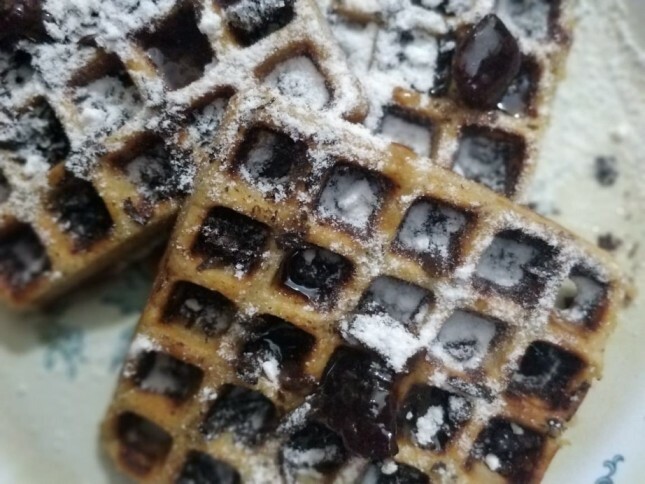 Find the ingredients and recipe below. Note: Make sure the ragi is roasted well for about 15-20 minutes till it crackles when you bite them. Set them aside for cooling and grind them to a fine powder. Sieve & Store them in air tight containers for all your future recipes! Try Also: Ragi Pancakes and Ragi Dosa! 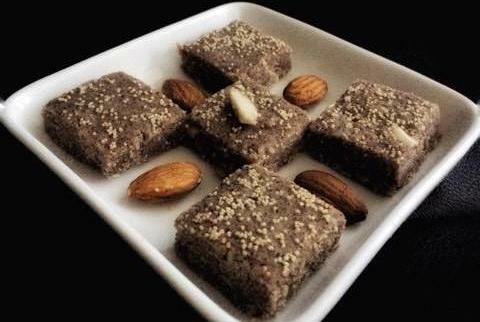 Do you guys have other favourite ragi recipes for kids? 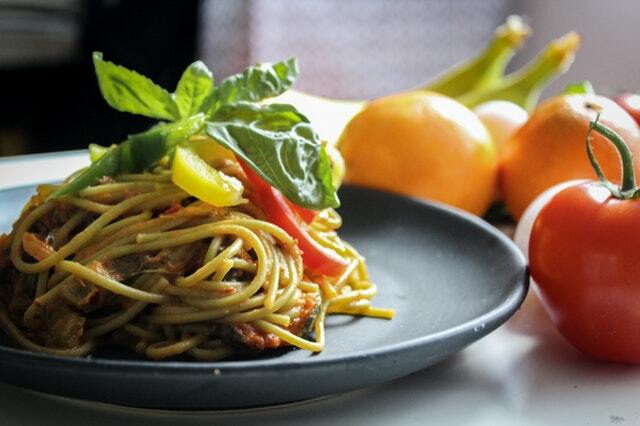 Share them in the comment section below to get featured on the LittleFoodDiary social accounts!